Budget decorating almost always includes a furniture makeover. As I was helping a friend redo her dining room, I saw a different life for this piece. She bought it years ago and wasn’t in love with it, but didn’t hate it either. So I suggested an easy furniture makeover. This one is super simple, yet gives the piece a whole new feel. 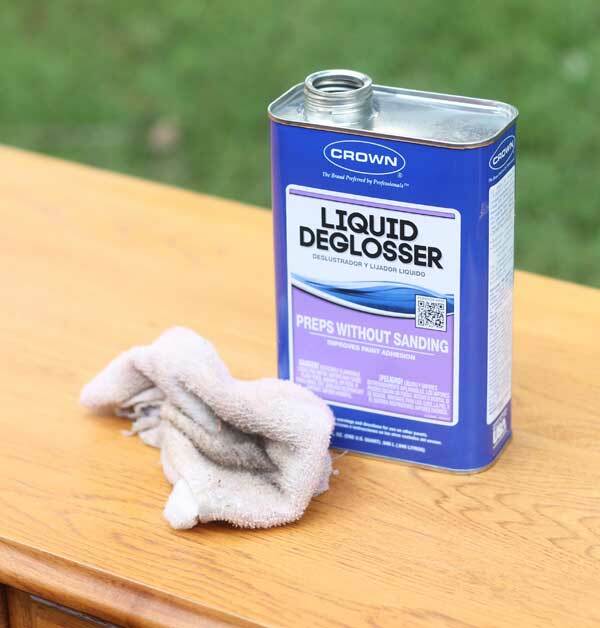 First I used liquid deglosser (aka liquid sandpaper) just like I do on all furniture painting jobs. 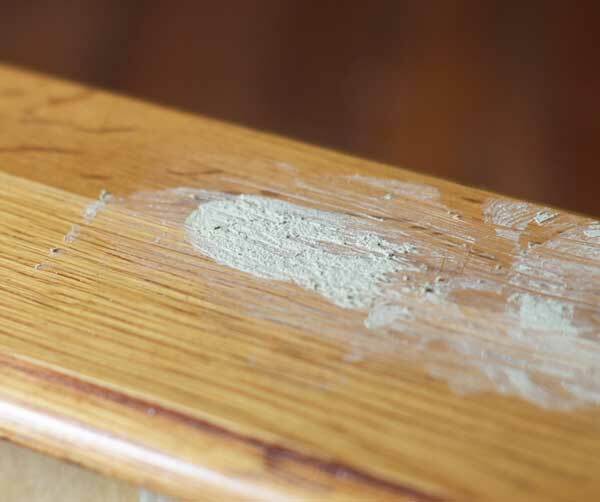 I used fine grit sand paper to sand off the top really well, then moved on to the drawers. The handles had to go, so I took them off and sanded the drawer fronts to get ready to fill in those holes. then smeared it around really well with my finger to make sure the hole was filled. Once that was done I painted it the same way I paint all furniture. Then I found the center of the drawer and drilled holes for the new knobs, installed those and I was done!. The whole furniture makeover took one afternoon, and it totally transformed the piece from meh to chic by using gloss paint. 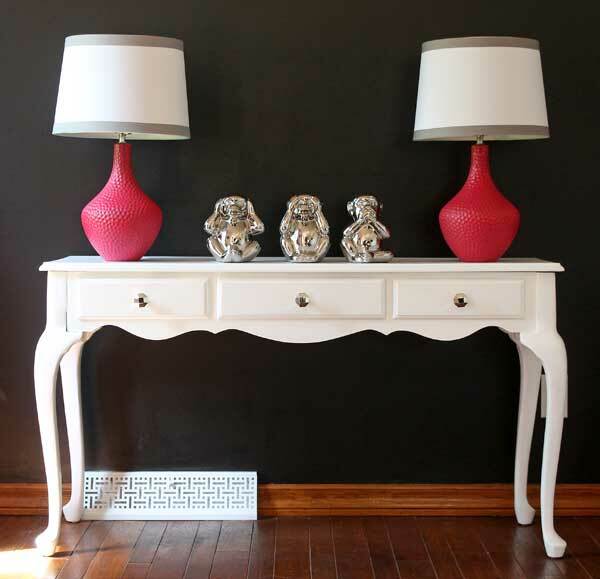 Love this furniture makeover? You might also enjoy…. 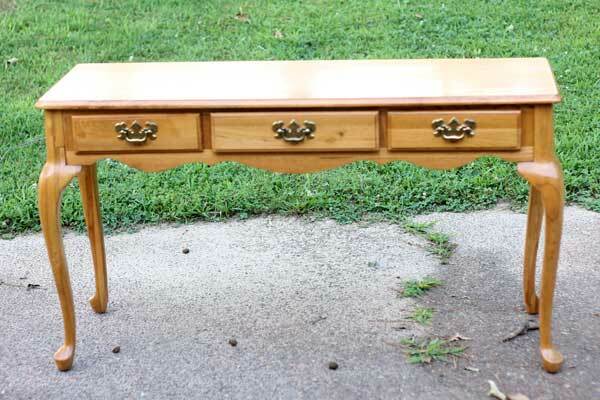 Cabinet makeover – a $12 thrift store piece gets a whole new look with a fun twist on top. Sheet music desk makeover – what do you do when you find a desk for $6? Give it new life with a little sweet sheet music. hey gina- that piece came out so pretty. i am sure your friend loves it …and you too! Oh it turned out great. I love the makeover and the new knobs really change the look. Looks great. What paint did you use? 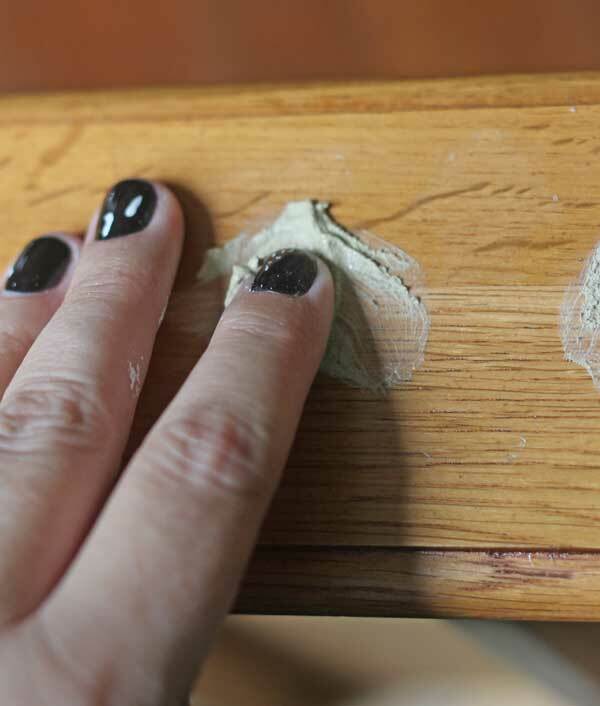 I always get brush marks when I paint furniture. What am I doing wrong? I never used liquid deglosser. Is it better than just a regular sand paper? Thanks. Use a roller. I’ve used the small cabinet paint rollers and it turns out great. Which color did you use? This made my morning! I have a nearly identical table in a cherry finish that I can’t stand to look at, but can’t part with because I feel it has potential. Thank you for the inspiration! Need suggestions for how to decide what size of living room sofa/chaise to purchase. Room is 30 X 20. I have some of my furniture such as desk, coffee table, gun cabinet. Wow! Spelled backwards Wow! Looks great! Isn’t it amazing what paint and new knobs can do??? It just takes off the sheen you will still have to sand it to smooth it. I have a table that is similar but has an awful laminate top. Any ideas on how to deal with that and still do the paint redo you did? How about maybe putting mirror on the top instead of laminate? I’ve never heard of the deglosser before. That’s an awesome thing to have on hand. Thank you for sharing that. I do a lot of wood crafts and furniture rehab. I really like the project you did. Painting furniture (at least some furniture) really gives it a whole new look. 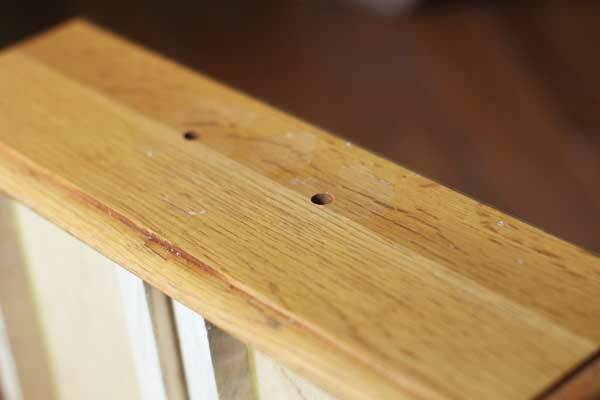 Paint hides those stains and imperfections and gives it a new life. Cute, cute idea. Great job! Ha ha Rae-Ann! 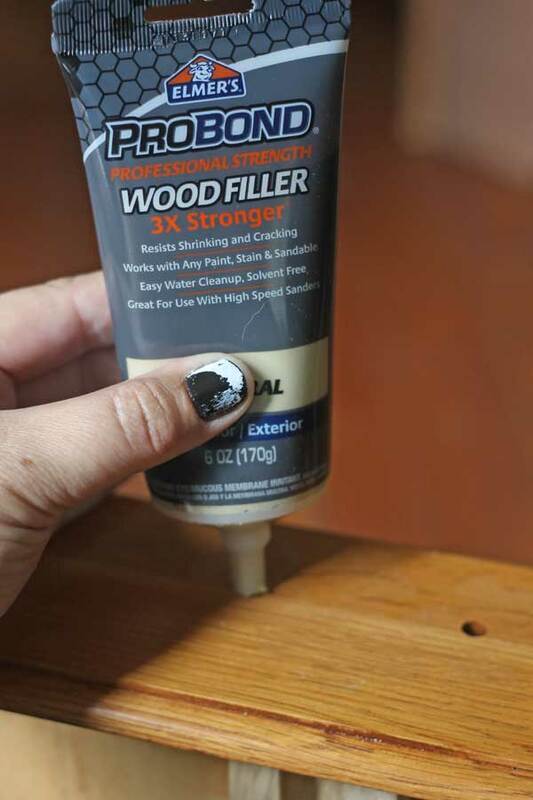 I use different paints for different projects.You can use spray paint for smaller projects, I prefer the primer and paint all in one, they require fewer coats so it saves both time and money. I also use a paint sprayer for larger projects, it really cuts down on time and goes on so smoothly, worth the investment if you plan to paint a large project or frequent projects. As for paint, sometimes basic acrylic paint and sometimes chalk paint, again it really depends on the project 🙂 I hope that helps!